NEW YORK -- An Uzbekistani citizen has been identified as the truck driver who drove into a crowd in New York Tuesday (October 31) in what has been described as a "terror act". Sayfullo Saipov, 29, deliberately drove into a busy bicycle path in lower Manhattan, killing eight people and wounding at least 12 others, according to police reports. He was shot and wounded by police and taken into custody. Saipov came to the US in 2010 and reportedly lived in Florida. "Right now we have no confirmed information on Saipov's origins, but according to the information we have now ... he was not radicalised in Uzbekistan," Tashkent-based political analyst Valerii Khan told Caravanserai. "Islamic State" (IS) proselytisers tend to influence "Saipov and those like him" abroad, said Khan, adding, "So far, the attempts of [new extremists] to return to Uzbekistan after brainwashing have failed. That's why [the new extremists] are used for terrorist attacks in other countries." If Saipov is found guilty, it will bring to four the number of attacks in less than a year committed by an assailant with suspected links to Uzbekistan. The International Crisis Group estimated in 2015 that between 2,000 and 4,000 militants from Central Asia may have signed up under the banner of "Islamic State" (IS). Uzbekistan, which borders volatile Afghanistan, has never given its own estimate of the number of nationals suspected of having joined the ranks of jihadist groups abroad. But the International Crisis Group has said that the largest single group of IS supporters among Central Asians were either Uzbekistani nationals or ethnic Uzbeks from neighbouring states. Uzbekistan-born Abdulkadir Masharipov confessed to gunning down 39 people at the Reina nightclub in Istanbul on New Year's Eve. The alleged attacker in a Saint Petersburg metro bombing that killed 13 in April, 22-year-old Akbarjon Djalilov, was believed to be a Russian citizen born to an Uzbek family in Kyrgyzstan. The same month, Rakhmat Akilov, a 39-year-old Uzbekistani national, was arrested after a truck attack in Stockholm that killed four people. Uzbekistani authorities said he had ties to IS. And on October 27, Abdurasul Juraboyev, a 27-year-old Uzbekistani resident of New York, was sentenced to 15 years in a US prison for conspiring to support terrorists in Iraq and Syria. Uzbekistani President Shavkat Mirziyoyev Wednesday (November 1) offered to help US authorities in the investigation of the attack in New York. "Uzbekistan is ready to use all forces and resources to help in the investigation of this act of terror," President Shavkat Mirziyoyev said, offering condolences to US President Donald Trump in a statement on the Uzbekistani Foreign Ministry's website, according to AFP. Mirziyoyev's statement did not confirm the identity or nationality of the suspect. "We condemn any forms and manifestations of extremism and terrorism," he said. "This merciless and very cruel crime cannot have any justification." The US embassy in Uzbekistan responded in a Russian-language posting on Facebook Wednesday (November 1), expressing its gratitude to Uzbekistani President Mirziyoyev for his support and offer to help investigate the terrorist act in New York. Ordinary Uzbekistanis were shocked and sympathetic. "Today the whole country woke up feeling crushed by a heavy burden," Tashkent resident Elyor Yakubov told Caravanserai. "Even though we're not guilty at all, I still feel tied to this tragedy. I think it's wrong to repeat all the time that this terrorist came from Uzbekistan." "He has nothing in common with us," continued Yakubov. "Anyone who visits Uzbekistan can see how proud we are of our security, and this is the true image of Uzbekistan." "This is a serious blow," Tashkent resident Nozima Baratova told Caravanserai. "I hope it doesn't affect relations between Uzbekistan and the US, which began to improve only recently." "I want to turn to the American people and say, 'Please don't think badly of our country.' Nobody here supports people like Saipov. Driving a wedge between our countries is their goal, and we can't let it happen." 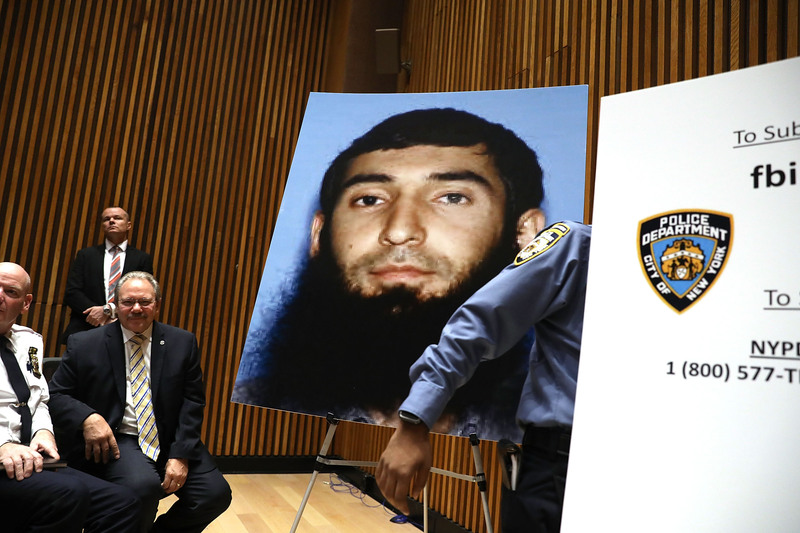 Uzbekistani national Sayfullo Saipov, accused of killing eight people in New York, is one of four Central Asians implicated in or guilty of terrorist attacks around the world this year.